This Joby Video Rig Bundle is a kit from B&H Photo put together for video shooters, although still photographers will find it useful as well. 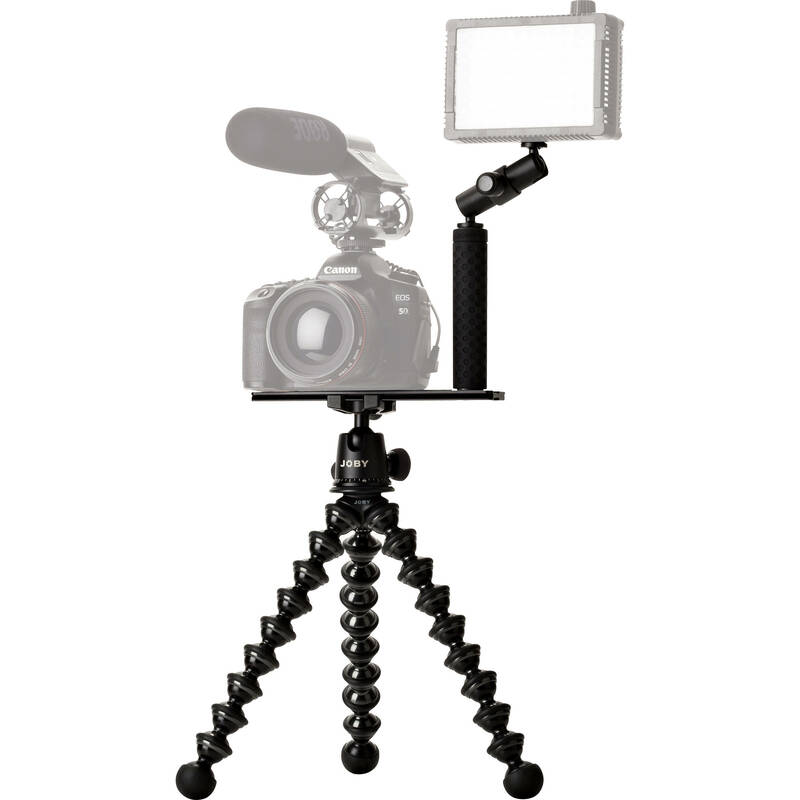 The kit includes a Gorillapod with a ball head, a hand grip, and a clamp and locking arm. The Gorillapod can hold up to 11 lb, and is made up of more than two dozen leg joints that can wrap around a wide variety of supports so you can position your camera where you need it. The Arca-type compatible Ballhead X lets you to further adjust the camera position using the ball, and then achieve smooth 360° pans with the ball locked. When you want to shoot handheld, the included hand grip and UltraPlate easily attaches to your camera. Because the UltraPlate is Arca-type compatible, you can attach it to the ball head with the hand grip attached for quick transitions between tripod and handheld shots. The included flash clamp and locking arm can mount an LED light, microphone, or other accessory to a surface up to 2" thick, and it features both a removable shoe mount and 1/4"-20 screw for attaching accessories.